The Division 2 team is pushing back the release of its 8-player ‘Operation Dark Hours’ raid. The anticipated addition is part of the game’s Title 3 Update, which Ubisoft will delay as it works on balance changes. Initially slated for April 25, Title 3 will now debut in May, though the team didn’t give a specific date for the release. The decision follows an outpouring of player feedback on Reddit and Twitter, with some highlighting a supposed failure to balance PvP and PvE separately. The team maintains that it plans to adjust the two modes separately, but the main game has seen little indication of this so far. A lot of that is likely due to the significant testing required, which Ubisoft plans to address with its Public Test Server (PTS). The server will be available to anybody who owns the game, but the plan is for a multi-stage testing process. Every few days, a PTS will focus on a specific aspect of the game, combining with surveys and community discussions to ensure everything is on the right track. As such, it’s a chance for players to try out features and balance changes early, but it won’t be all fun and games. Operation Dark Hours won’t be in the PTS, for example, with the focus firmly on bugs and underlying mechanics. The first PTS is live today, April 17, so players can jump in immediately if they wish. So far, Reddit has noted changes to Berserk, Unbreakable, Frenzy, Clutch, Patience, and many other skills. Reportedly, there’s also a higher cap on Attributes on the PTS when recalibrating, and Ubisoft has adjusted Dark Zone Normalisation. However, it’s worth noting that this phase of the PTS is focused solely on bugs, so don’t get mad just yet. 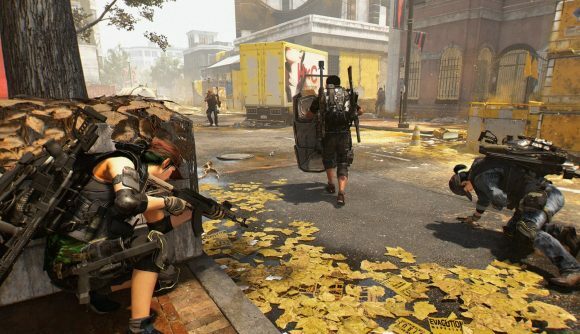 By all indications, The Division 2 appears to be a strong PC port, with support for supersampling, multiple monitors, and variable refresh rates. The game received favorable comments from us on launch due to its fantastic environments.